Harry Potter actor Rupert Grint is recovering from a "mild bout" of swine flu, his publicist has said. Grint, who plays Ron Weasley, took a few days off filming but has now returned to the set of Harry Potter and the Deathly Hallows. 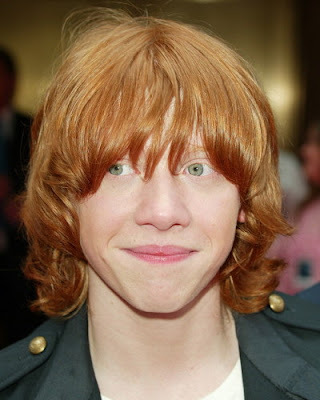 And he is well enough to attend the world premiere of Harry Potter and the Half-Blood Prince in London on Tuesday. "He has now recovered and is looking forward to joining his fellow cast members," his publicist said. She said that Grint's doctor had confirmed the 20-year-old actor had recovered and was no longer contagious or at risk of infecting others. "Other scenes were shot in his absence which did not require his involvement and thus filming was not disrupted," she added. Grint has starred in all the Harry Potter films as well as British comedy film Thunderpants and the comedy drama Driving Lessons with Julie Walters. He is currently filming Harry Potter and the Deathly Hallows - JK Rowling's final book about the teenage wizard and his friends. Harry Potter and the Half Blood Prince is released in the UK on 15 July.